The impact is that of an adrenalin rush. Boris presents himself to his YouTube followers in an air guitar performance. The funny thing is that he does not wield a Stratocaster, but a wooden panel he will later use for his work. In fact, Boris Beaulant is no web-star nor a rocker. He is a carpenter who produces one-of-a-kind creations with exceptional dexterity and wood-working skill, using tools and machines as if they were extensions of his own body. Each of his videos, masterfully scripted and edited, is a true story of the creation of a single one-of-a-kind product, demonstrating Boris's passion and joy in performing his work. If the way Beaulant presents his work is original, his personal story is equally unusual. Ten years after graduating in computer engineering, Boris decided to quit his job and follow his great passion of working with wood. 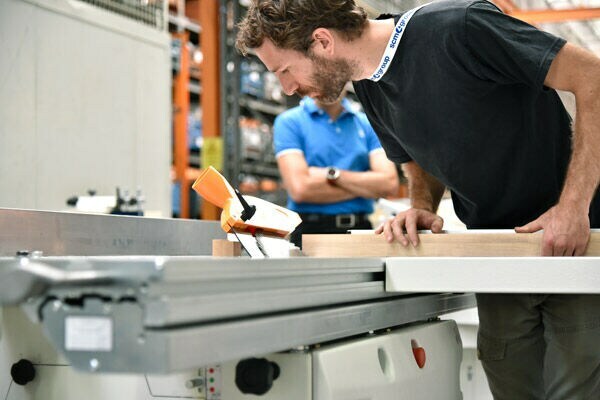 It was then that Boris entered the world of SCM, buying his first SCM Minimax C26 combined machine for a simple reason: it was the best solution considering the initial investment, its quality and precision. His ideas, too, are original and very clear. Indeed Beaulant is an impassioned advocate for the widest spreading of knowledge. He himself, who does not come from a family of carpentry tradition, educated himself and improved his skills by navigating the Internet, following blogs, joining forums and watching video tutorials. And now he returns the favour by sharing whatever he has learned and discovered. "I'd like to share my philosophy," says Boris. "My ideas are given free and should be shared freely. Ideas come from others as well, and if ideas can be adopted and improved freely, then many more projects could be accomplished." Boris's opinions regarding woodworking machines are very clear, too. The best machines are simple and easy to use. His advice is "Get rid of the Owner's Manual." It should be immediately clear to users how to operate their new machines. And what kind of future does this philosopher-carpenter see in his dreams? "I dream about a machine that adapts to the carpenter's movements." It is exactly because of that special relationship he had established with the machines that Beaulant was contacted by SCM. 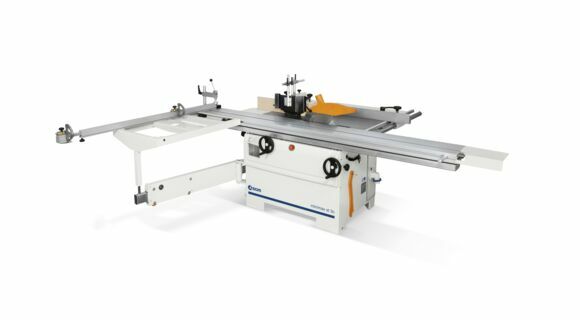 This most original carpenter came to the attention of Group executives when he released a video in which he showed how he had built constructive extensions to his Minimax c26 worktable. This was the beginning of a successful relationship which culminated with a three-day internship at the company Villa Verucchio plant. During these three days, Beualant and company technicians discussed key concepts such as ease of use, ergonomics, functions and machining operations that Minimax combined machines could perform. A relationship in which SCM Group looks at things from a customer-level point of view and listens to customers' opinions. This kind of dialogue offers opportunities to find new ideas regarding ways to improve products, where one's suggestion could benefit many. A relationship that is becoming more and more solid. 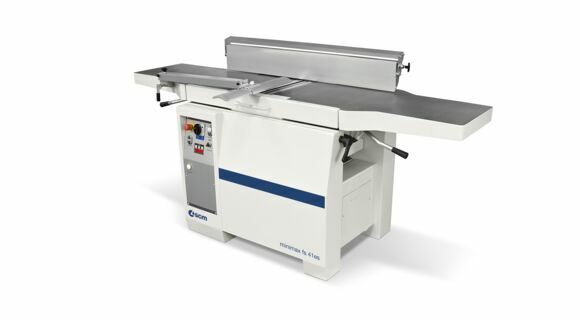 In fact, when Boris decided to replace his Minimax C26, he bought the Minimax st3 classic saw-spindle moulder and the Minimax fs41 elite s surface planer. Considering future trends, Boris has no doubts: "Mass production can offer good products at low prices, but cannot fulfil special personalised requirements. There will always be room for small carpentry shops, where a skilled craftsmen could offer personalised solutions to special needs." And this is exactly what he does in his shop, built with old stones and wood. 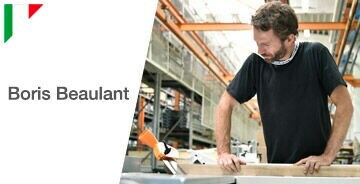 Beaulant is also as certain about future trends in wood-processing machinery. "The revolution is continuous, the new machines are being developed to reduce or eliminate tedious or repetitive work. The main problem is that we tend to adapt our production work to available machines, and not the other way around. Machines are more efficient than people in optimising the use of available resources, but one must 'understand' wood well in order to process it. Machines can 'learn' how to do it, but a human eye should always oversee them. We may use CAD applications to create and produce, but we must not lose touch with the wood we process nor ignore the possibilities of adapting our production processes to what nature has to offer." Minimax st 3 classic. Saw shaper.